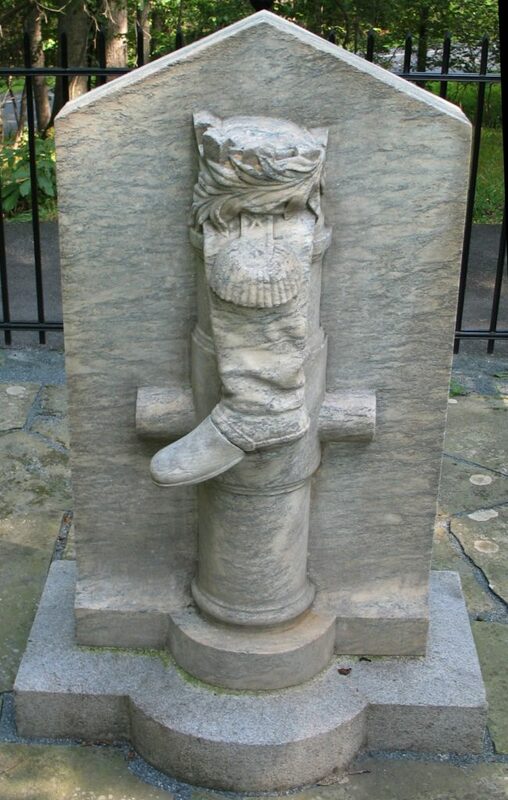 The Boot Monument — an unnamed monument to Benedict Arnold at Saratoga Springs, a battle Arnold effectively won and where he suffered a leg injury. Via Wikipedia. avoiding my first school assignment — final blog post — but can we talk about benedict arnold?! THIS GUY. i read steve sheinkin’s The Notorious Benedict Arnold: A True Story of Adventure, Heroism & Treachery (a YA bio, dig it!!!!) and it starts off a bit slow but the story is literally bonkers and arnold is both a (surprising) war hero AND a terrible traitor and you just can’t believe how devastating the end is. anyway. worth a read.